Whitinger Strategic Services’ design work was recognized at the 2018 East Central Indiana American Advertising Awards Ceremony. We were honored with three Gold Addy Awards and one Silver Addy. Strategic Services was well represented in multiple categories this year. From left to right: Richard Crist, Managing Director; Lucas Tetrault, Creative Director; Sheena Peters, Account Manager; Megan Carrell, Graphic Designer. The first Addy Award of the evening was presented to Whitinger Strategic in the category Sales & Marketing Promotion for our work for Kiddo Keepsakes. In the fall of 2017, we completed a full identity and branding campaign for this newly established business. WSS worked alongside Ashley Runkle to develop her business and we developed an understanding of her product and the target audience she wished to reach. WSS took the knowledge of her brand to create a new identity for the company – Kiddo Keepsakes. This name focuses on kid-centric activities that children will enjoy doing with their parents while creating a lasting memory or keepsake for the recipient. Once the name was established, we designed their logo, business cards, website, and Etsy storefront. Whitinger Strategic also coordinated a photo shoot, designed email marketing elements, and assisted with product packaging design. A Silver Addy was awarded in the category of logo design for our work on the Get Connected logo for the Innovation Connector.  The logo is part of an overall marketing campaign designed to highlight the services of the Muncie, Indiana based business accelerator. In the category Sales & Marketing Specialty Advertising Campaign, Whitinger Strategic won a Gold Addy for another project for the Innovation Connector. We provided the Innovation Connector with design and promotion services for their Excellence in Innovation Awards. The centerpiece of the campaign included the development of an idea from start to finish that was played out on three items including a Save-The-Date piece, the formal Invitation, and finally on the Event program. Whitinger Strategic was also recognized with a Gold Addy Award in the Industry Self-Promotion Collateral Material category for our 2017 Christmas Card. WSS Creative Director Lucas Tetrault designed original illustrations of the team’s favorite Christmas movies which were included on a custom card sent to clients and friends of the company. Everyone who received the card was encouraged to go to a link on our website to participate in a contest; a traditional holiday card with a creative twist.